One of the last remaining triplexes or fourplexes in Hyde Park. Most people think that Hyde Park is full of what’s called missing middle housing or middle income housing. This may have been true at one time, but that’s no longer the case. According to information obtained from the Travis County Central Appraisal District there are only 9 triplexes and 7 fourplexes that remain in Hyde Park. That means there’s only 16 total of this type of housing left in all of Hyde Park and Hyde Park has approximately 1700 parcels. These housing types look like single family housing on the outside, but are a more affordable housing type because there are multiple units within the house. The cost of land is the most expensive part of housing in central Austin and that cost can be split between multiple units with this type of housing. What happened to all of the missing middle housing that used to be in Hyde Park? Nearly all of the housing that was once triplexes and fourplexes have either been converted into single family homes or have been replaced with large single family homes. A major factor that contributed to this change was the adoption of what’s called a Neighborhood Conservation Combining District or NCCD in 2001 and 2005. Neighborhood Conservation Combining Districts (NCCDs) are zoning overlays that override base zoning districts. In Hyde Park this means that the zoning is more restrictive than the zoning for the rest of Austin. More information about NCCDs can be found here. The NCCDs made almost all of Hyde Park’s missing middle housing illegal and also made it illegal to add any new missing middle housing by restricting all single family zoned lots under 7,000 sqft to only one unit. In order to have two units (such as adding a garage apartment), a lot size of more than 7,000 sqft would be needed. The NCCDs also downzoned almost all of Speedway and Duval from multifamily to single family housing, altering the original character of those streets. Hyde Park is also one of the only neighborhoods in Austin that the city wide rules allowing ADUs on smaller lots (garage apartments, granny flats) does not apply to because of the NCCDs. ADUs were also once a part of Hyde Park’s allowed housing types. The NCCDs have reduced and severely constrained the housing supply in Hyde Park while the demand for housing in central Austin increased, which has increased the cost of housing and rents in the neighborhood. These factors are rapidly changing the character of Hyde Park to be unaffordable for most people, could be a reason the density of Hyde Park is decreasing as the overall population of the city increases, and changing what the neighborhood looks like. What can be done to bring back the character of Hyde Park that we’ve lost because of the NCCDs? In one of the largest stakeholder processes in Hyde Park’s history, Hyde Park residents voted overwhelmingly to support a new land development code to replace the existing land development code in Hyde Park as part of the CodeNEXT process. 91 Hyde Park residents out of our 403 members at the time voted. 78% of the members that voted supported the resolution. Friends of Hyde Park then released our CodeNEXT recommendations. Hyde Park should not be exempt from CodeNEXT like it is under the current draft of CodeNEXT. 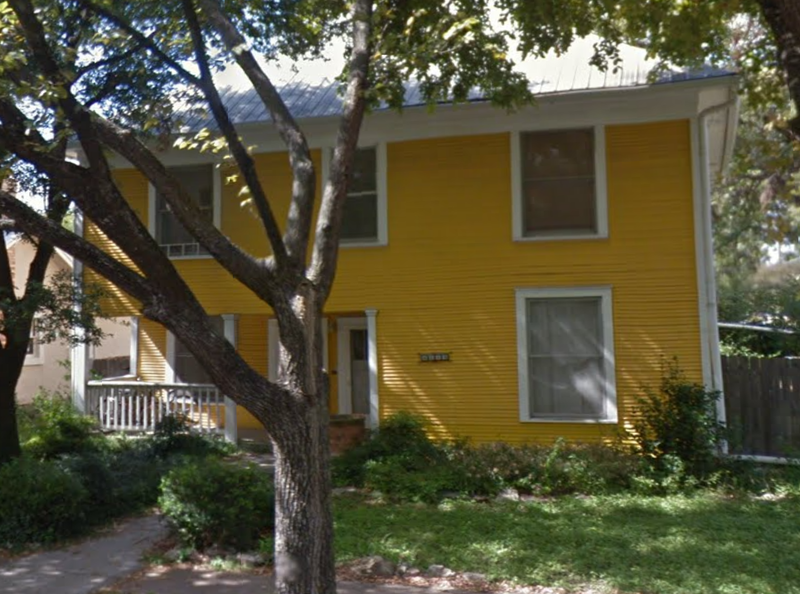 The historic housing that was once part of our neighborhood should be legalized again by allowing the new zoning code created through CodeNEXT to apply to Hyde Park by removing the NCCD zoning overlays. Otherwise, we’ll continue to see our neighborhood changing into only large single family homes that only the wealthy can afford. Imagine Austin says, “continued protection and preservation of existing neighborhoods and the natural environment must be considered top priorities of comprehensive revisions to the City Code.” Legalizing missing middle housing types again would allow Hyde Park to start to regain back its historic natural built environment and allow the people to continue to live here that make Hyde Park what it is. Our neighborhood association, Friends of Hyde Park (friendsofhydepark.com), is the largest neighborhood association in Hyde Park with 412 current members, has more participation of residents in our votes and stakeholder processes out of any other neighborhood association in the area, and strives to represent how the majority of the neighborhood residents feel about neighborhood issues. We allow free, secure, online voting over a 7 day period in order to allow maximum participation from anyone in the neighborhood who wants to participate. The makeup of our members is approximately 50% renters and approximately 50% homeowners. You can join for free here.